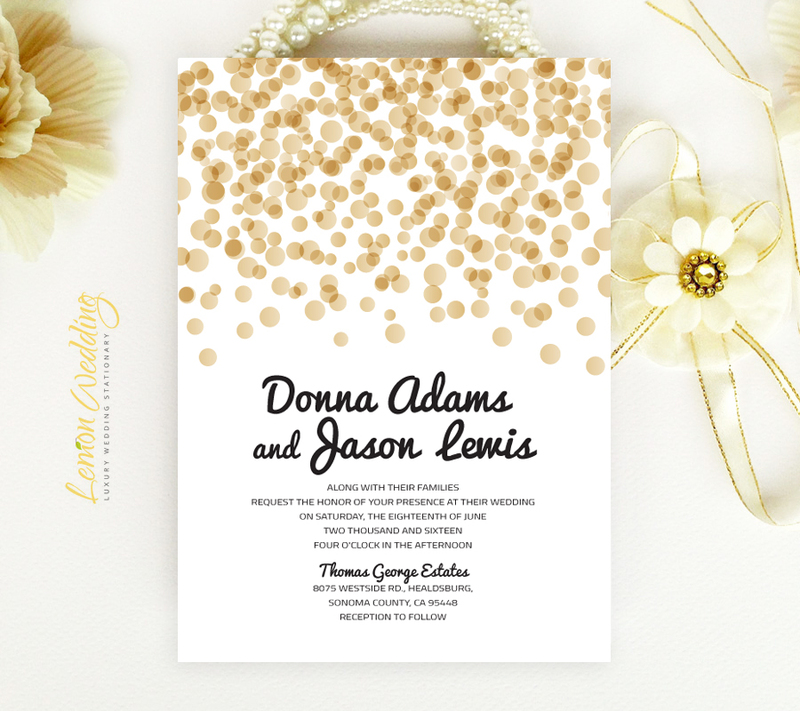 My confetti wedding invitations far exceeded my expectations especially for the price. The seller worked closely with me and sent me multiple options before I ordered. I sent her my RSVP card and she matched the text font. I was able to purchase envelopes that matched the gold circles. My wedding is New Year's Eve and these match my theme perfectly! I LOVE them!!!!! 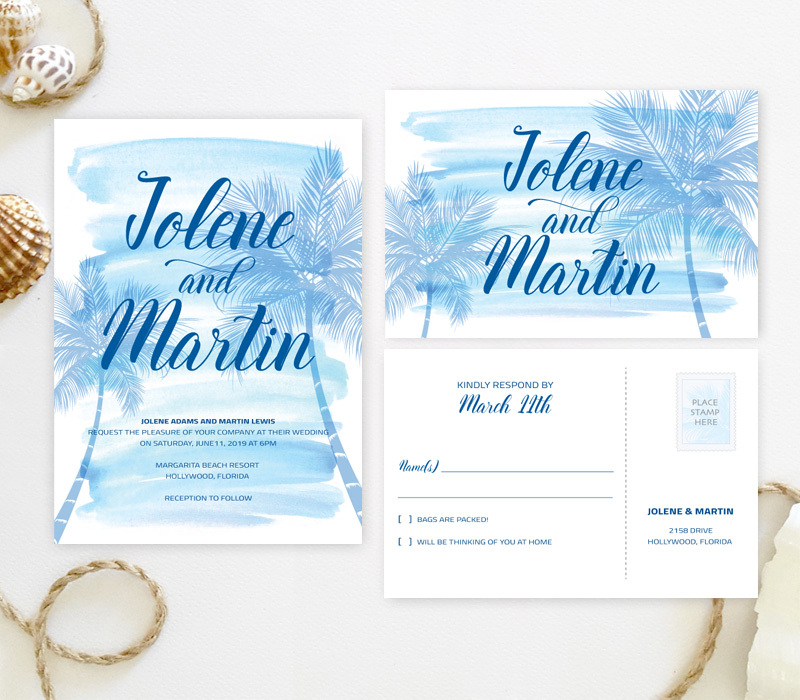 Lena created a custom set for me that included wedding invitations, RSVP cards, reception cards, and gift tags. She did an excellent job, and the quality of everything she sent was outstanding! She was very accommodating with multiple rounds of changes, quick to respond to messages, and extremely prompt with shipment. She shipped my package only 2 days after I approved the final proofs! 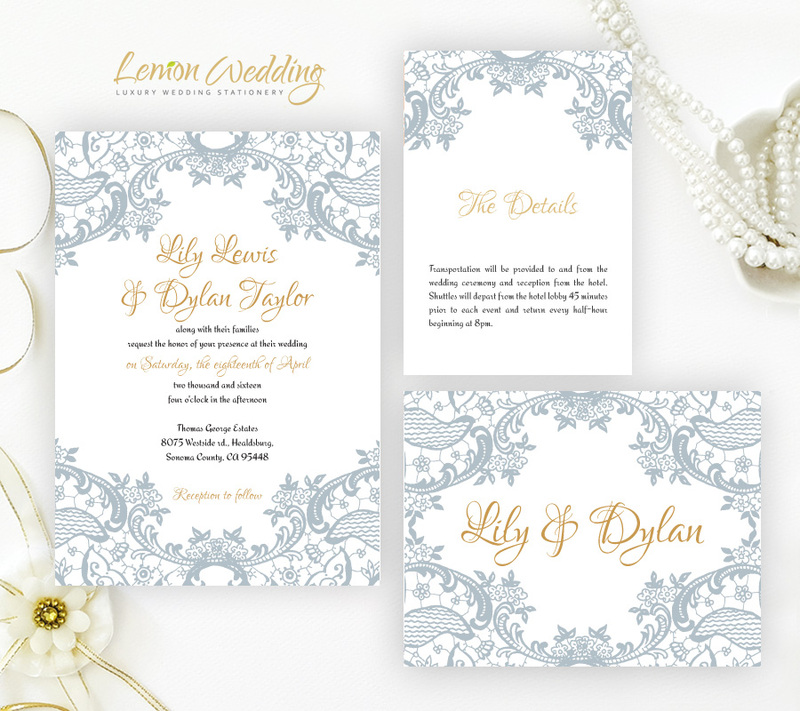 I just recently received the invitations, and they were even more beautiful than I thought they would be. Lena was fantastic to work with!! Answered all my questions I had before placing the order and then once I placed the order she had my proof done within 24hrs then was patient with me as I had to upload all my addresses. 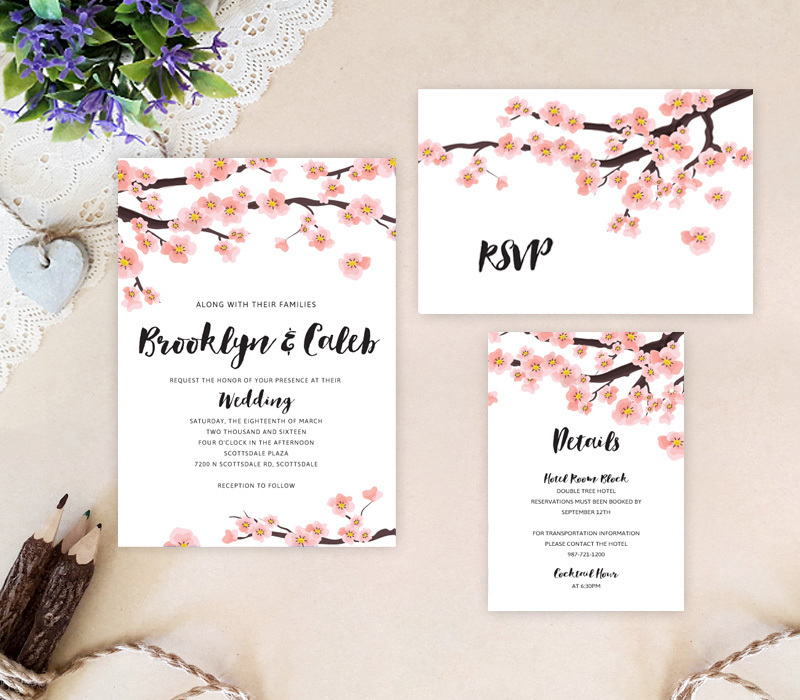 I Received my Spring Wedding Invitations within a week of placing the order I am in love and highly her shop! 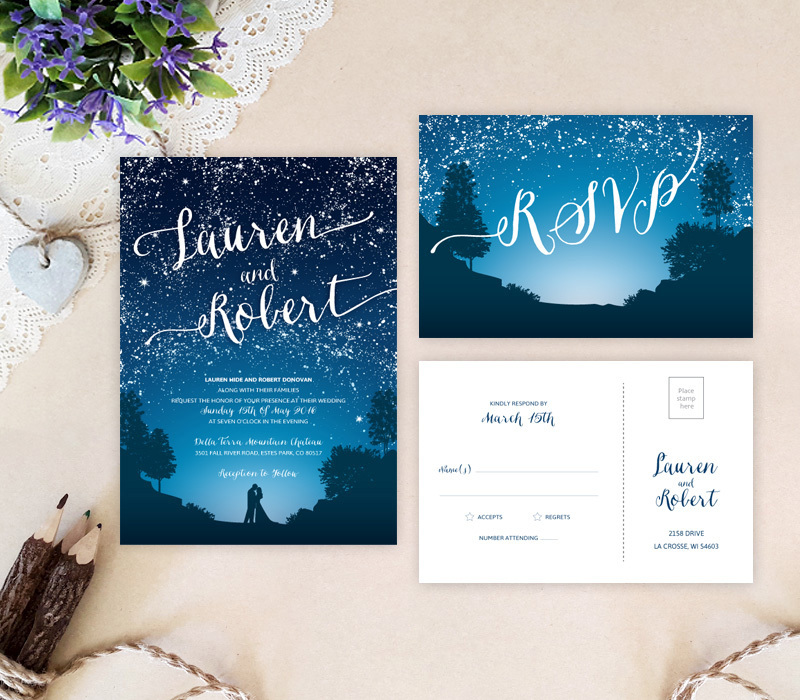 I had the best experience ordering my Starry Night Wedding invitations. Communication was awesome, proofs were sent the very next day, and everything went smoothly and perfectly. She made me feel so comfortable and like she truly cared about making my wedding invitations perfect. Shipping was super fast and I couldn’t be more in love with the product. They even came wrapped in wrapping paper which added to the fun of opening them. It felt like Christmas. What a fun, unique touch! !